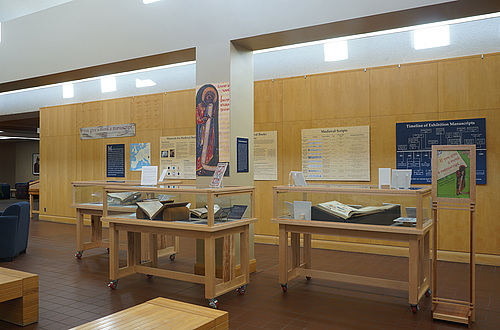 Archives contains manuscripts, pictures, and other materials that are unique to Carleton. Anything you need to know about Carleton's history you can probably learn from the archivist and his collection. Special Collections houses unique, rare, or valuable books and manuscripts. Our Collection includes Revolutionary War pamphlets and a page of a Gutenberg Bible.